PBSNS founding church, Wesley Methodist Church Seremban, designated 24th August 2014 as PBSNS Sunday. Rebecca Backus, PBSNS chairman updated the congregation on the work/activities of the centre. She challenged the congregation saying PBSNS is not about us. It is about what we can do for them. She announced that PBSNS is proud to have placed two more trainees in open employment. 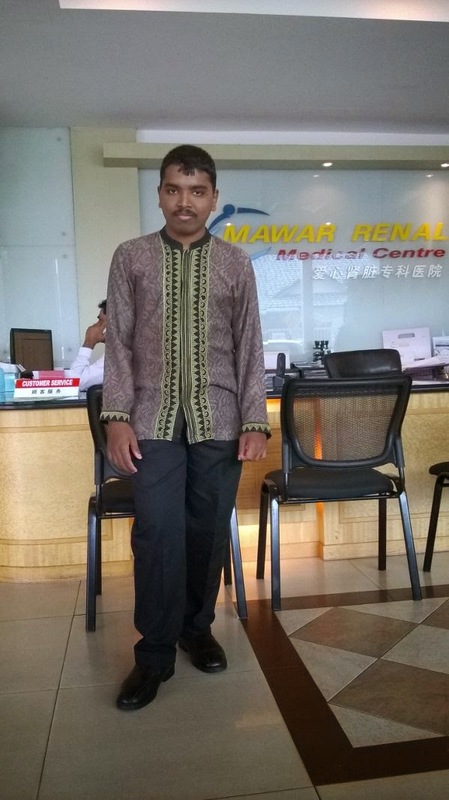 Sasthri Mogan is employed at Mawar Renal Medical Centre as a Concierge. 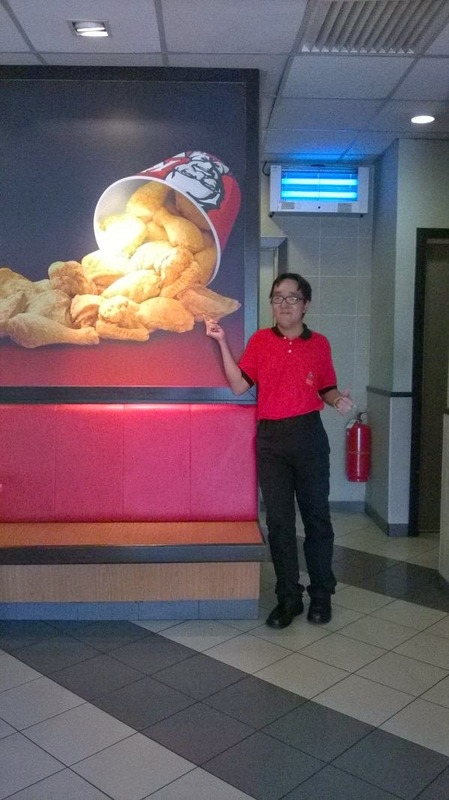 Phoon Sheng Yu has started work at KFC, Rasah Jaya. As we celebrate PBSNS Sunday, Patricia Koh, Parent/Volunteer has this inspiring story by Jim Stovall to offer to the parents of special children as they struggle to help their children to reach their fullest potential. Her prayer is that it will help parents counter any negative thoughts and obstacles that come along their paths that may present them with little hope or encouragement. As they were packing their gear for the descent, they saw the baby’s mother walking towards them. They realized that she was coming DOWN the mountain that they hadn’t figured out how to climb. The incumbent chairman, Peter Yew, stepped down at the 6th AGM held on 24th May 2014 having served in this position since the Association was formed in 2008, and prior to that as chairman of Pusat Berdikari Seremban from 2004. In his farewell address he thanked his staff and fellow committee members for their valuable work and assistance. The new chairman is Ms Rebecca Backus assisted by Ms Mable Chin. We look forward to a new chapter in the work of this community service to empower the learning disabled to find jobs.